You are here: Home / Your Stay / Hen and Stag Party Time in Malta! Hen and Stag Party Time in Malta! Born and bred in Malta, Alexia and Steve, the founders of Hen Club and Stag Club are planning to get married in 2015. While probably not organising their own hen and stag nights, as that will fall to their nominated seconds, the two are not newbies when it comes to knowing a thing or two about planning the ultimate bachelor or bachelorette party. By profession, Alexia and Steve are lawyers in Malta, but setting up a travel agency together had always been a dream of theirs. Steve has been in the entertainment industry for the past five years organising some of the biggest parties in Malta (Sunglasses at Night) and thought it only natural to ask Alexia to head this new project on account of her passion for entertaining and organising. We asked the enterprising duo to give us an insight into what makes a memorable (in the best possible sense) hen and stag party, and why Malta makes the ideal venue in which to hold one. Growing up and living in Malta definitely helps a great deal when planning unforgettable hen and stag parties. First-hand experience in organising parties, coupled with our knowing Malta like the back of our hand, means we can put our local, insider knowledge to work in devising itineraries as action packed, or as leisurely, as the brides and grooms to be and their friends desire. We have a long list of exciting activities, top-notch dining venues, ‘in’ watering holes and party places on the island to choose from. Our Hen Club and Stag Club websites make the organisation and planning of hen or stag parties in Malta easy. We’ve devised them as one-stop-shops to get the celebrations rolling. The reason behind our venture is simple: we know that planning a stag or hen party for one of your best friends can be a rather overwhelming experience and accommodating all of your mates may be a daunting and stressful mission. Organising and booking activities, dealing with any food and accommodation issues, and booking transport – even fixing the budget – can prove quite a task. This is where we come in, taking up the challenge so you can relax and enjoy your friend’s ‘party of a lifetime’ as much as they will. 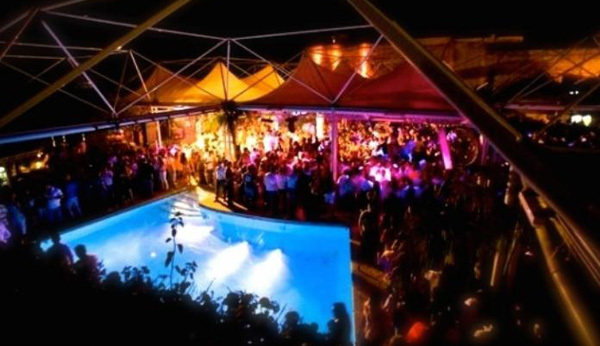 In recent years, Malta has established itself as an entertainment hub in all respects but it truly excels in nightlife. With top DJs and clubbing brands flocking here, these tiny islands in the Mediterranean are giving some other top, party islands a run for their money. The traditional reason people come to Malta. But the islands have far more to offer. While other well-known destinations like Ibiza are becoming more and more expensive, Malta remains an affordable place to enjoy a short holiday with your friends. If you’re here in the summer there is literally something going on every day from MTV’s massive, free, flagship event, Isle of MTV, to Malta’s very own clubbing brand Sunglasses at Night. When planning a short trip abroad for a stag or hen do it is easy to get distracted by the fact that you are travelling to a new destination and consequently forget to plan the trip to make it that extra bit special. It’s a cliché, but who doesn’t think of strippers when there’s the mere mention of planning a stag or hen party! But there are so many different activities that can be planned and which could make your trip so much more memorable. Zorbing and archery, for example, are just a few of the activities that can add novelty factor. Nightlife aplenty for hens and stags. Our dedicated team of party organisers is there to ensure you have a smooth, problem-free stay. You can simply choose from the easy-to-book packages but if you’d like to add or tweak anything just let us know and we’re happy to accommodate your requests. No matter what kind of stag or hen do you’re looking for, we’ve got it covered. You may also opt to create a personalised stag package or hen package by choosing à la carte style from a wide range of activities. Planning your party in Malta couldn’t be easier; all you need to do is book your trip, sit back, relax and enjoy!